Excellent product for me. 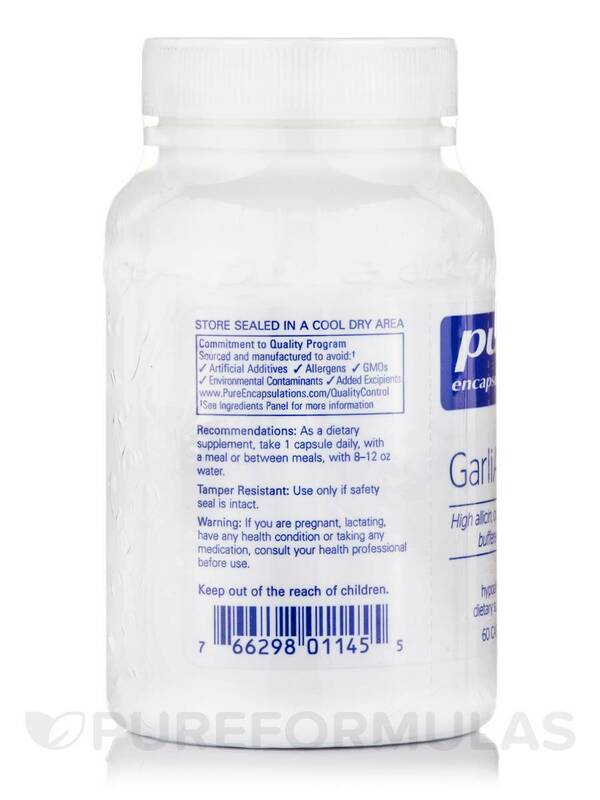 I don't want to bother with bad garlic breath so I like GarliActive by Pure Encapsulations because I don't smell the garlic on my breath after taking it. Did you know that garlic may support healthy blood flow‚ platelet function‚ arterial health‚ immunity‚ and gut health while working to reduce oxidative stress? If you don't use it in cooking on a regular basis‚ garlic pills such as GarliActive can help. 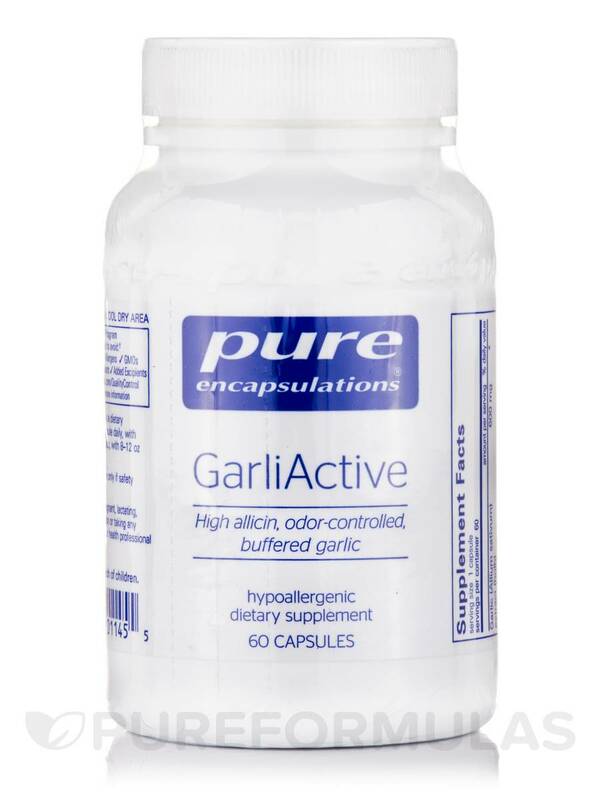 GarliActive by Pure Encapsulations contains high-allicin garlic. It is made through a unique growth and dehydration process that eliminates most of the foul garlic odor while preserving the healthful compounds. It's actually almost as bioavailable as fresh garlic! 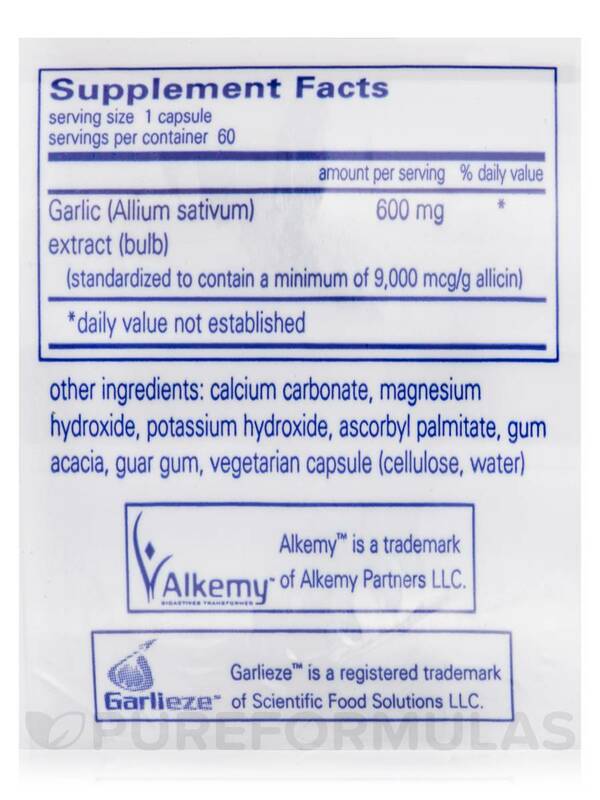 This allicin supplement protects the garlic extract from stomach acidity with an alkalizing matrix‚ consisting of natural potassium‚ calcium‚ and magnesium; as a result‚ it doesn't need to be enteric coated. In addition‚ GarliActive may be less likely to cause stomach upset or irritation than other garlic supplements. 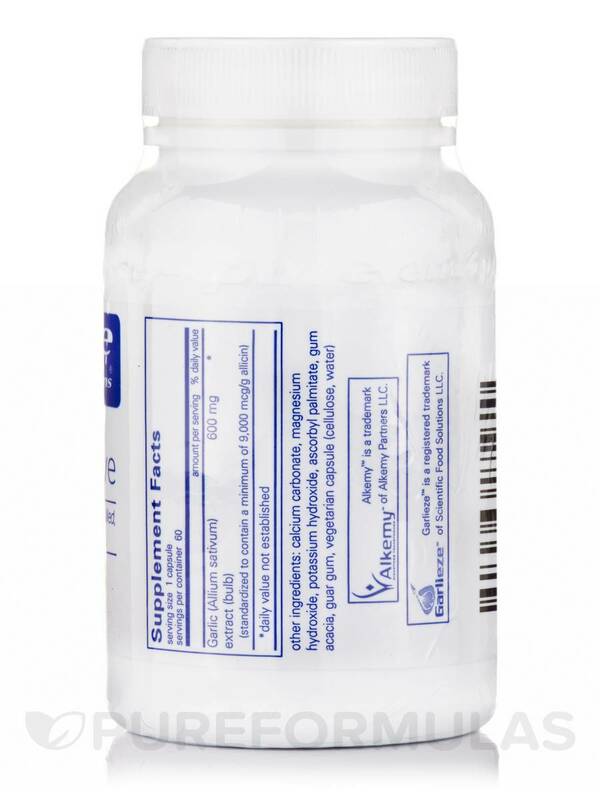 Take one capsule daily (with eight to 12 ounces of water) for 600 milligrams of garlic extract. 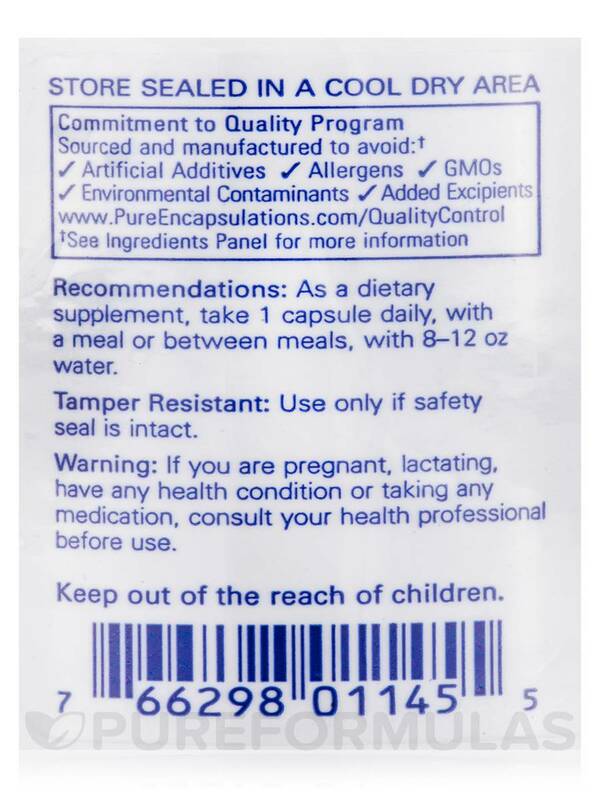 At the recommended dosage‚ each 60-capsule bottle of Pure Encapsulations' GarliActive should last for about two months. As a dietary supplement‚ take 1 capsule daily‚ with a meal or between meals‚ with 8-12 oz water. 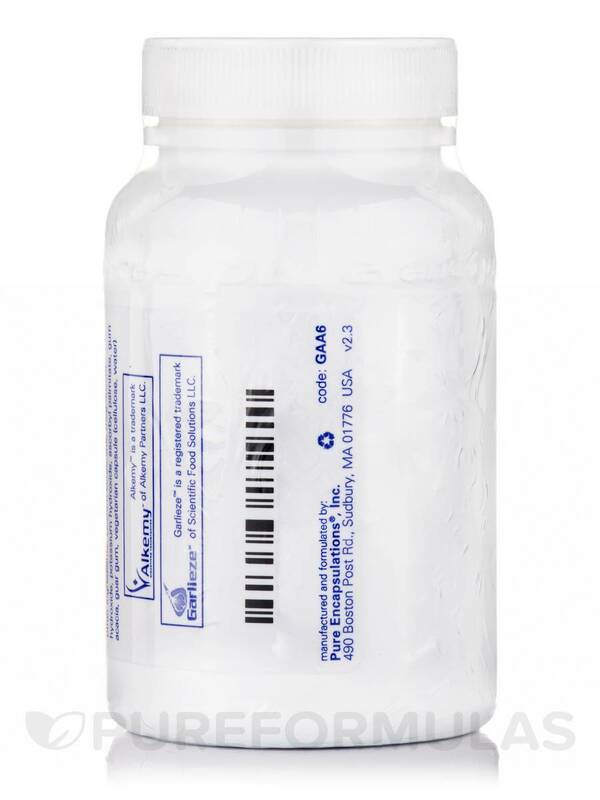 If pregnant or lactating‚ have any health condition or are using any medication‚ consult your health professional before use. Easy to swallow. odor free. Husband takes GarliActive by Pure Encapsulations when he’s fighting off a cold. He said he doesn’t really burp up garlic taste and I don’t smell him!